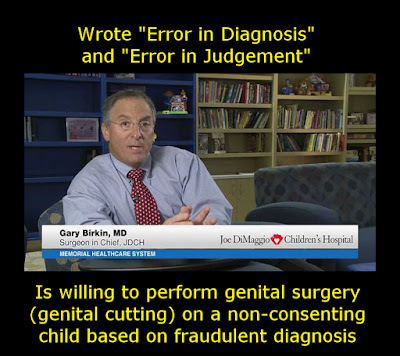 According to Intact America and intactivist Brother K, there is a report "that Dr. Gary A. Birken, MD, 1150 N 35th Ave, Hollywood, FL phone: (954) 265-0072, has diagnosed Chase with a foreskin problem and that the circumcision is scheduled for June 11 at a Florida hospital." Dr. Gary Birken also writes fiction, with his name, and as Mason Lucas MD. As Mason Lucas MD he published "Error in Diagnosis". 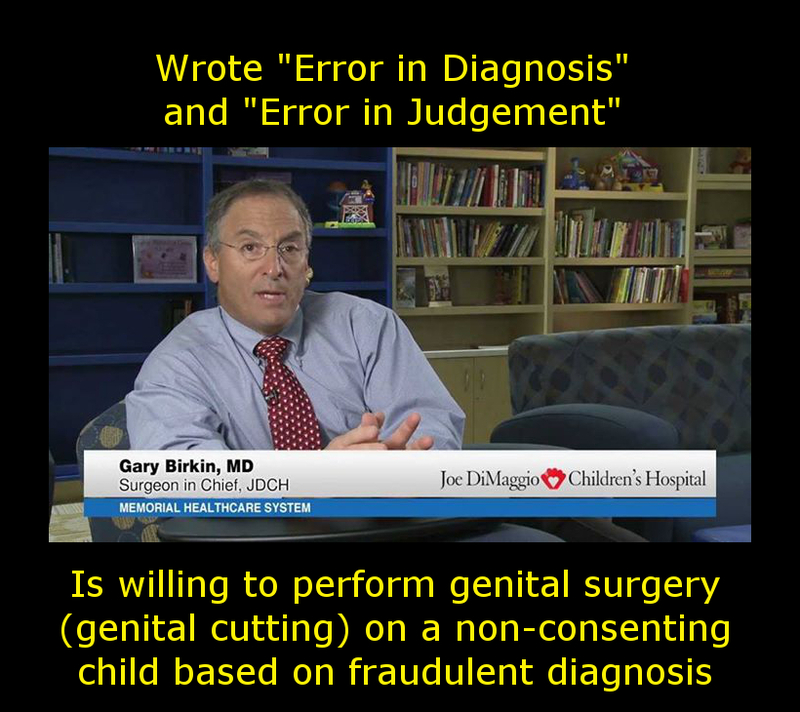 Using his name he published "Error in Judgement"